In Router mode, Untangle will be the edge device on your network and serve as a router and firewall. In this case, you'll need to set up your External and Internal interfaces correctly for traffic to flow, which should have been done while installing. 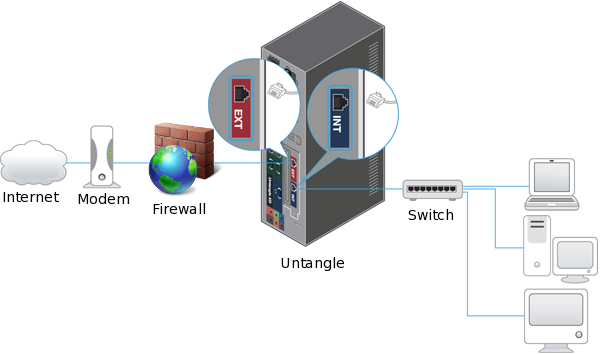 In Bridge mode, Untangle is set between your existing firewall and main switch. 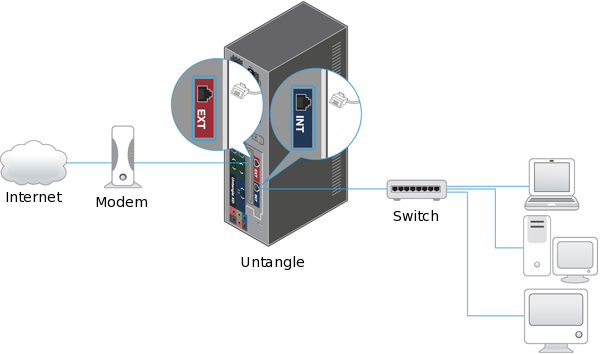 When in Bridge mode Untangle is transparent, meaning you won't need to change the default gateway of the computers on your network or the routes on your firewall - just put the Untangle between your firewall and main switch and... that's it! You'll need to give Untangle's External interface an IP in the subnet of the firewall, set the Internal interface to bridge and bridge it to External.